When I received “La Tartine Gourmande” by Béatrice Peltre in the mail, I was walking around Edgartown, so I settled in for a coffee and a browsing of this gorgeous cookbook. I spent the next hour sipping on my Mocha Latte and reading this book. The author’s words enthralled me, and the colors, styling, and simply delicious food made me hungry for more than a coffee. Béatrice Peltre is the author of the award-winning blog, LaTartineGourmande.com, and this cookbook is living proof that we eat through our eyes. Béatrice captures the brightness in fruits and vegetables with the earthy tones of whole grains, making you just want to reach into the book and have a bite! Her recipes are meant “to inspire”, and as I flipped through, I left a post-it in every recipe I wanted to try. More than half of them were marked, so how would I narrow down a recipe to make for the blog? I asked my husband of course! Ultimately it came down to the Beet and Quinoa Tabouli and the hazelnut molten lava cakes. Yeah, the quinoa didn’t really stand a chance against warm, unctuous chocolate. I’m sharing this recipe with you, thanks to permission from Roost Books in Boston. I’ve already made the hazelnut molten lava cakes three times (small batches). I used almond meal instead of hazelnut flour in one batch, and the cakes came out beautifully! 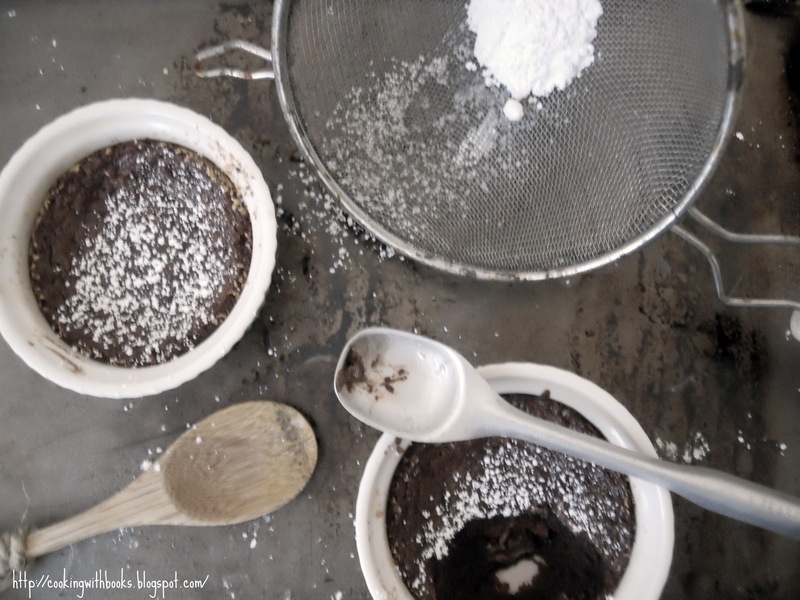 Here’s the recipe for the hazelnut molten lava cakes. I hope you enjoy them! Rich chocolate hazelnut cake with a center of liquid chocolate. Decadent and delicious! Preheat the oven to 450ºF (230ºC). Butter the ramekins, then coat them with flour and tap the excess out. Melt the dark chocolate and butter in a bain-marie. In the bowl of a stand mixer, combine eggs, sugar, and fleur de sel and beat until the batter has tripled in volume and is light and pale in color (about 8 minutes). Add vanilla and fold in the flour, then the melted chocolate-butter mixture, making sure to keep the batter light each time. Divide three-quarters of the batter among the ramekins and add one piece of hazelnut chocolate at the center of each mold. Cover with the rest of the batter. At this point, if you want, you can refrigerate the cakes until you are ready to bake and serve them. If you do, bring them back to room temperature before baking. Place cakes in the oven and bake for 10 to 12 minutes (if you bake 6 cakes, they tend to need 10 minutes only). The less time you bake the cakes, the more gooey the inside will be. Remove from oven and leave them to rest for 5 minutes. Invert onto dessert plates or serve them in the ramekins. Dust with confectioners’ sugar before serving. Thanks for sharing this recipe! I’ve had this on my to-bake list ever since I borrowed La Tartine Gourmande from the library last year. I was excited about the recipe, because at the time, I had a large bag of millet flour. I no longer had the millet flour, so I made my own hazelnut flour in the food processor and added about a tablespoon of all purpose flour since my hazelnuts were a bit chunky. The flavor and texture were nice, especially with a small scoop of ice cream to sweeten it up a bit (I used granulated sugar, so perhaps that cut the sweetness)! If I cream and a bit more time, I’d probably make a hazelnut ganache for the filling (maybe with amaretto? ), but a square of hazelnut chocolate was a great time saver. A mí también me encanta “La Tartine Gourmande”. Mmmmm, estupendo Chocolate Molten Cake! My chocolate loving kids would love this! Mussels in saffron broth: http://www.latartinegourmande.com/2009/09/30/mussels-in-saffron-broth-moules-au-safran/. I might have to make this tonight! Been salivating over the airy fresh and optimistic photography. Me. Me. So very hard to decide as La Tartine Gourmande is full of wonderful recipes. If I have to choose, it’d be the tiramisu – a perfect coffee-lovers dessert. It looks like an amazing book, I love her blog and pictures! The hazelnut chocolate molten cake you made looks scrumptious! Thank you for sharing the recipe Have a great Thursday! What a great recipe! It looks absolutely fantastic. I would love to try some. holy cow! Let me wrangle my whisk around this one day. The flight over to eat yours would take too long. Okay, first I love that you live in Edgartown. Can I come visit? I am in Boston and I love MV! Second…yeah, just a beautiful dessert! http://www.latartinegourmande.com/2012/03/04/gluten-free-baked-omelet-recipe-la-porte-rouge-vermont/#more-22841 Baked omelets with asparagus recipe. 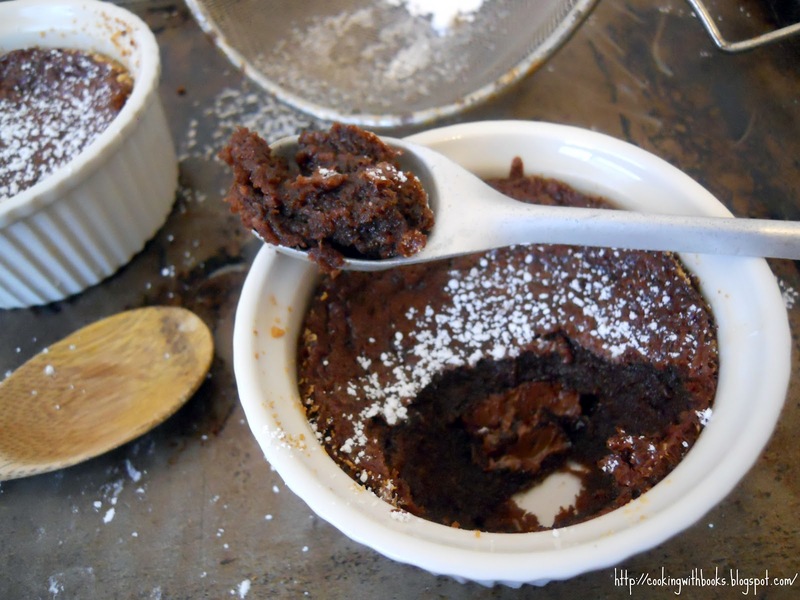 And your Hazelnut Chocolate Molten Cakes look heavenly! Anything, they are all just so delicious! Oh Nelly, this looks gorgeous and just perfectly decadent. Wow, that looks fantastic! What is fleur de sel? Is it gluten free, because it looks like everything else can be! woohoo! Pass me a bowl. Can I dig in? Recipes sounds simple and I am bookmarking this. I’m a sucker for tarts — http://www.latartinegourmande.com/2008/10/30/lemon-poppyseed-yogurt-tart/ so elegant – thanks for this awesome giveaway! That cake looks delicious. Now I want some Molte cake!!! Thanks for sharing the recipe, can’t wait to get back to the DR to make some of these. I am all about lemons! This sounds wonderful! Omg, this Molten cake looks heavenly! I want to try this right now.Heading over to La Tartine Gourmande as you suggested. Thanks for sharing this, Nelly! Now, where’s my own serving of the Molten Cake, pls. ?